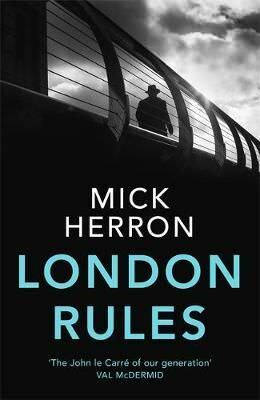 An entertaining, rugged read which continues to make you root for the odd, damaged and potentially psychopathic slow horses – Margaret von Klemperer reviews Mick Herron’s London Rules. London Rules is the fifth novel in Mick Herron’s Slow Horses series of spy thrillers, and for anyone keen to read them – and they are great fun – the best place to start would be at the beginning. To be able to follow what is going on, knowledge of the back story is vital. The slow horses are a bunch of disgraced spies who have been banished to a dismal, semi-derelict building called Slough House in a gloomy part of London. They haven’t done anything bad enough to be completely dismissed from the service, or else the service wants to keep an eye on them, not cut them loose. Their boss is the utterly repulsive and fiendishly clever Jackson Lamb, who once worked as a spy behind the Iron Curtain, and who has enough skeletons in his cupboard to furnish a catacomb. Britain is being targeted by a series of terror attacks, vicious, not entirely competent and increasingly bizarre. It is not something the slow horses have been asked to help with, but Roddy Ho, possibly the oddest member of their odd crew, seems to be the target of another not entirely competent killer. Inevitably, there is a link. The cover blurb, from Val McDermid, calls Herron “the John le Carre of our generation”, but he isn’t. His books aren’t driven by the moral indignation that makes Le Carre one of a kind and gives his storytelling a fundamental seriousness. Sure, Herron is scathing about contemporary politicians and politics and the spying establishment, and for anyone who follows the news, there are plenty of recognisable figures in the picture he paints, but the main thrust of Herron’s enterprise is entertainment, not outrage. The entertainment is of a rugged kind: these books are not for the squeamish, and certainly not for those committed to political correctness, but odd, damaged, and potentially psychopathic as the slow horses are, you can’t help rooting for them. And mysterious and awful as he is, Jackson Lamb’s one redeeming feature is that he watches over his team, and can, more or less, dig them out of any trouble they get into. And trouble follows them, in spades. It’s a show with a subtitle, this powerful piece of storytelling combined with installation art, playing around 12 locations in Edinburgh city centre through the dark winter month between New Year’s Day and Burns Night. 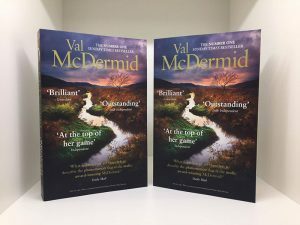 Its other name is New Year’s Resurrection; and its text, by the great crime novelist Val McDermid, is not only a tribute to a city famous for its dramatic clashes between elegant enlightenment and dark criminality, but a plea to resurrect the reputation of generations of women writers who have too often been forgotten, in the litany of Edinburgh’s famous male literary stars. Message From The Skies, various sites, Edinburgh *** So we begin at Parliament Square with a brief introduction to the dark-and-light horror story of Burke and Hare, before visiting the National Library for a list of male writers, suddenly interrupted. Then, at Lady Stair’s Close, we finally meet the central character of the evening’s entertainment, the 19th century novelist Susan Edmonstone Ferrier who – with some help later on from the inimitable Muriel Spark – leads us through a journey from the Mound (where we cheerfully watch the Scott Monument crumble), to Calton Road, York Place and the New Town, where Ferrier lived out the last years of her life.